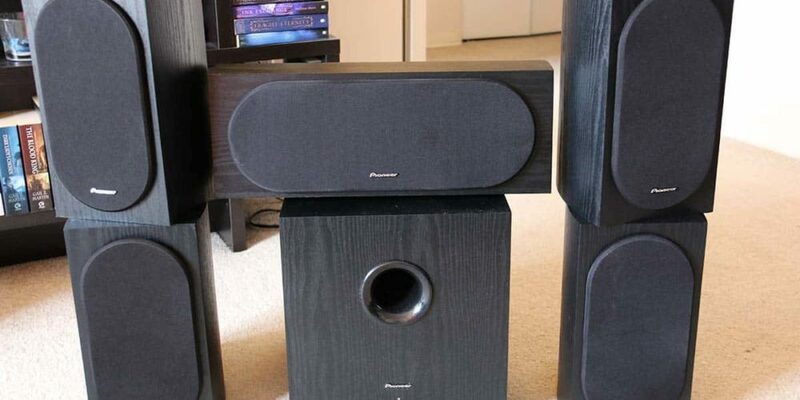 BlogHome » q acoustics 350 side view » Blog » What Makes the Best High-End Home Theater Speakers? Choosing a high-end speaker system for your home theater setup can be challenging, especially if you're not familiar with speaker technology and what to look for. 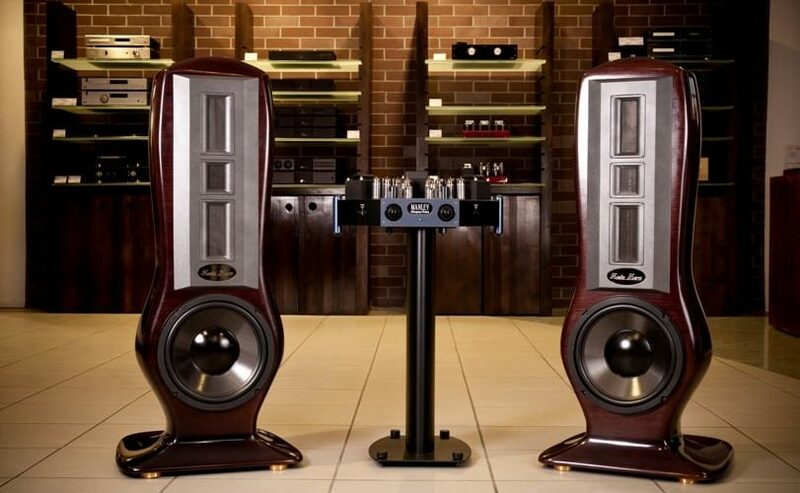 After all, the best high-end speakers will come at a hefty price, so you don't want to find yourself disappointed or wishing you would have chosen something else after spending thousands on a speaker setup. Luckily, you don't have to be a speaker expert to do a bit of research before making your selection. With that said, here are some of the top factors, features, and tips to consider when comparing high-end speakers for your home theater. Although there are many speakers on the market that are “self-powered” most of them can't stand up to the sound produced by the more robust speakers, most of which require external power. An Audio/Video (AV) receiver includes several amplification channels that drive power to each individual speaker in your surround sound setup. While many speaker systems will include a receiver as part of a comprehensive package, purchasing a standalone newer model AV receiver separately will allow you to reduce the cost of the speaker purchase, while also ensuring that you have access to the latest and greatest signal processing technology. Thus, while comparing different speakers for your home theater, it's also a good idea to compare AV receivers as well – you can read about it here. The human range of hearing spans from about 20Hz (super deep bass) to 20kHz (high pitch beep). Bass frequencies lower than 20Hz can be felt and are, therefore, incorporated into movies and games to reproduce vibrations, explosions, and other tactile stimulation that helps to create a more immersive experience. For this reason, it's best to look for speakers with the lowest possible bass frequency range. However, it should be noted that to take advantage of a speaker's lowest possible bass frequency, you'll need to use a subwoofer. It's also a good idea to check out the +/- deviation of the frequency response. Ideally, you'll want to choose a speaker that has a response deviation of +3 dB or lower. The closer you can get to +0 dB, the closer the sound reproduction will be to the actual source. However, most home theater speakers add some “coloration”, which simply means that the sound is intentionally brightened and made more entertaining rather than left in its original state, which some listeners may find to be bland and boring. Aside from frequency reproduction range and signal response deviation, other key specs to examine include sensitivity and impedance. The sensitivity of a speaker doesn't affect the sound quality, but it does affect the overall volume and sound pressure capabilities. A typical speaker might have 80dB sensitivity rating, whereas a higher end model would be closer to 90dB or higher. The impedance rating also does not affect sound quality, as it is a measurement used to indicate how much power a speaker requires from an amplifier to function. A higher impedance number means that it requires less power from the amplifier. For example, a speaker with an 8-ohm impedance rating would require less power than a speaker with a 4-ohm impedance rating – something to consider when choosing an amplifier or AV receiver. Although your ears can do a pretty good job of telling you what sounds good without any fancy knowledge, when comparing speakers, you mainly want to look for sound accuracy and spatial realism. Do acoustic instruments sound natural? Are the sounds extremely clear or are they muffled by excessive bass instead? Are words crisp and easy to understand? Do the speakers make you feel like you've been taken into a whole new environment? These are some of the questions you might want to ask yourself while comparing high-end home theater speakers. 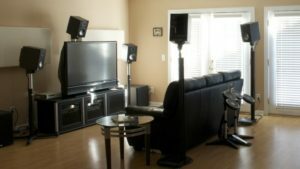 It's important to consider the unique advantages and applications of each speaker type when designing a home theater speaker system. Most experts recommend starting with a center-channel speaker like a soundbar and then branching out from there. A good subwoofer is a must if you want to experience the rumbling sub-bass frequencies that make movies and games feel more realistic. The furniture in the room will also play a role in which speaker types are best. For example, if you already have an entertainment system or shelves on both sides of your display, bookshelf speakers might be ideal. Floor speakers are generally recommended for rooms with hard floors that don't produce a lot of additional resonance. Finally, surround speakers are the finishing touches that complete an enveloping and immersive home theater audio experience. Aside from the technical specs, it's also a good idea to double check the popular opinion about a setup before making your final decision. Sometimes a system can look great on paper, but after examining the reviews you find that there are certain shortcomings that you'd rather avoid. Since home speaker systems can be quite expensive, it makes sense to do your research and look for as much experience-based guidance as possible before committing to the investment. This is a great bonus tip to consider before making your purchasing decision. Although you'll probably find better deals online, looking at pictures of speakers won't tell you much about how good they sound in person. Fortunately, most of the models you'll find online will also be available at local shops (albeit typically at a higher price), so it's a good idea to test them out locally before buying online. In closing, it doesn't make sense to spend a bunch of money on a fancy speaker setup, only to throw it into a room that's acoustically unfit for the system itself. Room design and size can have a major impact on sound reflections, absorption, and resonant frequencies that affect the accuracy of bass. Thus, while the above tips are certainly the primary aspects to consider, it's important to choose a speaker setup that is ideal for the room it's going to be installed in. previous post: What is an AV Receiver? 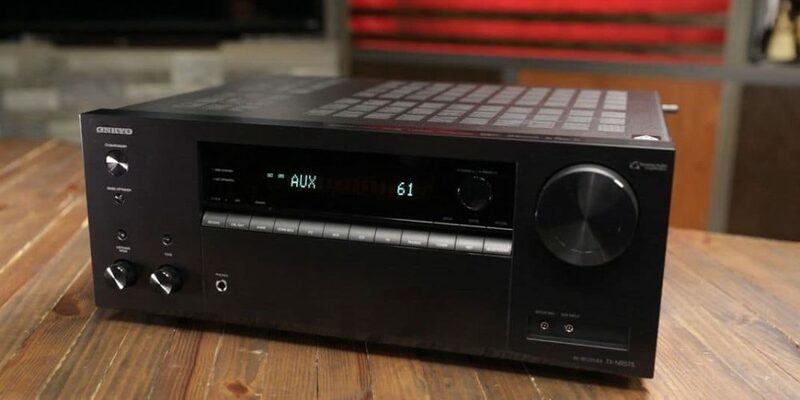 next post: What Makes the Best Budget Home Theater Receiver?